Winter hit hard today and boy is it cold! To warm your tummy and your soul, stir up one of these steamy soups – the ultimate winter comfort food! 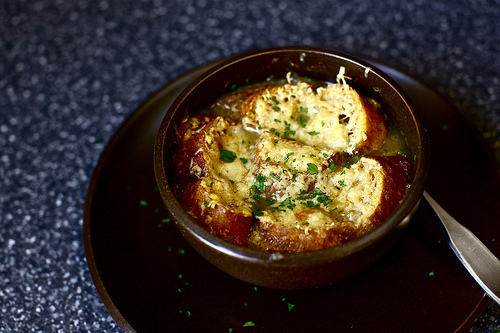 Onion soup is amazing! If you have never made it, try out this great recipe from Smitten Kitten. 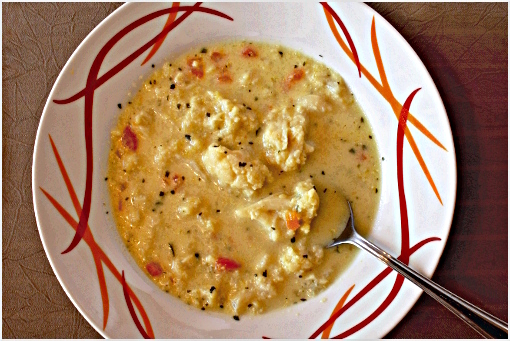 Zoom Yummy’s Cauliflower Soup is billed as “the most yummilicious soup ever!” If you love cauliflower soup, you must give this a go! 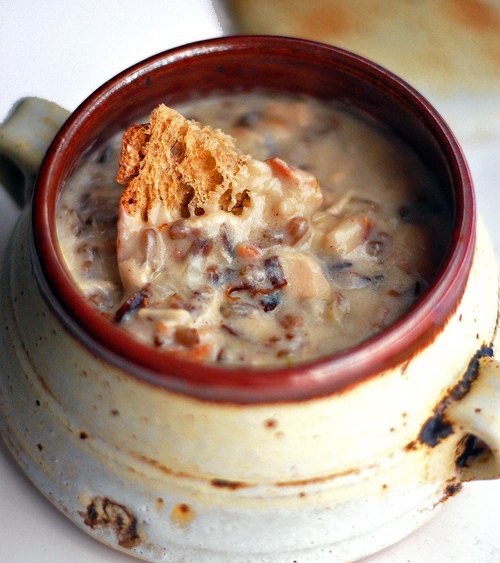 To “wrap you in a blanket of cozy,” stir up this Chicken Bacon Wild Rice Soup from Pinch of Yum! 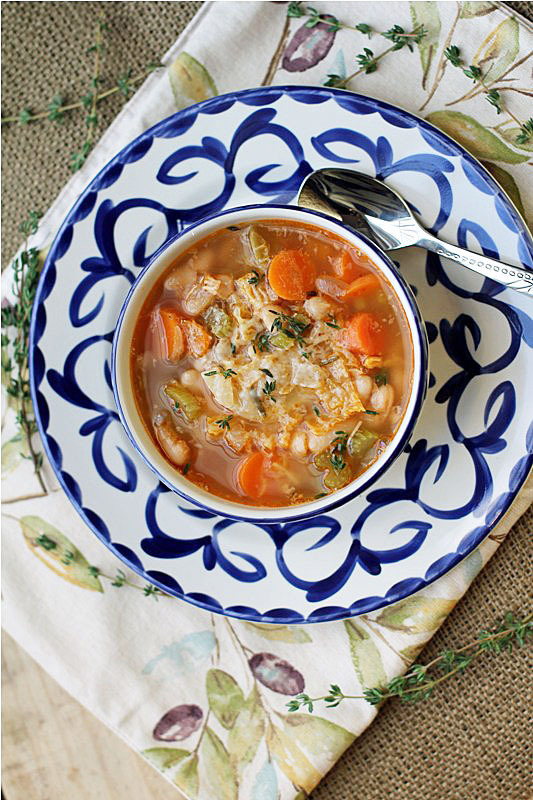 Do you crave vegetable soup on cold days? One Tribe Gourmet shares a recipe for a wonderful Tuscan Style Vegetable Soup that is sure to chase the winter chill! A soup round-up would not be complete without chili! 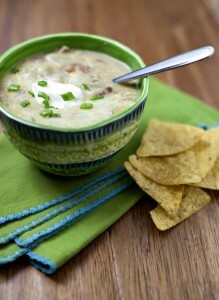 White Chicken Chili is always a family favorite and here is a quick-to-fix recipe from The Family Kitchen. Since January is National Soup Month this is perfect timing. These soups look really good. Thanks for sharing! Cauliflower is such a versatile vegetable. From low carb rice to casseroles to stuffed cauliflower, there are so many ways to prepare this vegetable. I would make the soup with 50% milk and 50% heavy cream. All of them look warm and delicous too tempting to look at right now. These are perfect, i am doing next week's menu and wanted some hearty soups - thanks for sharing! So glad you shared this I was just looking for a Chicken Wild Rice Soup recipe! Yum! Thanks for the recipes. This morning it is 7 degrees outside! Soup sounds perfect. Those all sound delicious especially given our sudden chill here. It was 50 two days ago and now it's 19 degrees. I need soup!